(CBS) - Jodi Arias, a 32-year-old small-town waitress and aspiring photographer, was found guilty of first-degree murder Wednesday afternoon in the slaying of her on-again, off-again boyfriend Travis Alexander at his suburban Phoenix home in June 2008. 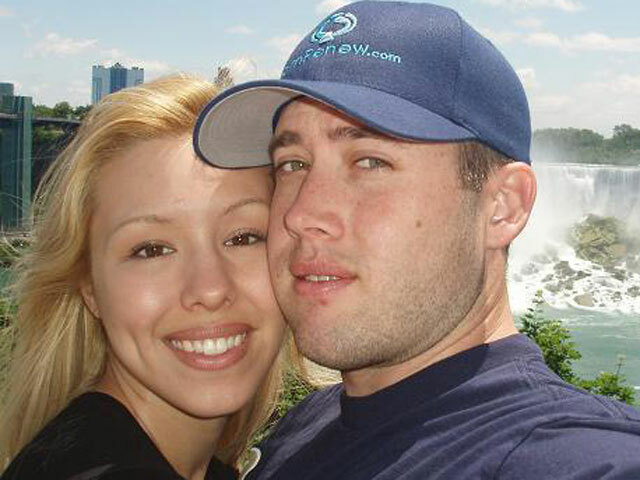 September 2006 - Travis Alexander and Jodi Arias meet at a work conference in Las Vegas, Nev.
February 2007 - Alexander and Arias begin dating. June 29, 2007 - Alexander and Arias break up, but maintain a physical relationship. May 28, 2008 - Police investigate a report that a .25-caliber gun was stolen from Arias' grandparents' home in California. It was never recovered. June 2, 2008 - Arias rents a vehicle from Budget Rent-a-Car in Redding, Calif., police say. June 4, 2008 - Alexander is killed. His body is found days later in the shower of his home in Mesa, Ariz. He suffered nearly 30 knife wounds, was shot in the head with what was ultimately determined to be a .25-caliber gun and had his throat slit. Arias' palm print was found in blood at the scene, along with photos of her and Alexander from the day of the killing. June 5, 2008 - Arias goes to visit Ryan Burns, a love interest and former co-worker, at his home in West Jordan, Utah. June 7, 2008 - Arias returns her rental car to Budge Rent-a-Car in Redding, Calif., police say. June 9, 2008 - Alexander's friends call 911 after discovering his body. When questioned by police, Alexander's friends say Arias should be questioned. June 19, 2008 - Police question Arias about Alexander's murder. July 9, 2008 - Arias is indicted on first-degree murder charges in Alexander's death on her 29th birthday. July 15, 2008 - Arias is arrested in California on suspicion of first-degree murder. September 5, 2008 - Arias is extradited to Arizona. September 11, 2008 - Arias pleads not guilty at her arraignment. September 12, 2008 - Arias denies killing Alexander in an interview with The Arizona Republic, and won't discuss evidence police say links her to the killing. September 24, 2008 - Arias goes on "Inside Edition," where, for the first time publicly, she says that she was present when Alexander was killed by two intruders. October 31, 2008 - Prosecutors file a notice of intent to seek the death penalty for Arias. June 23, 2009 - An episode of "48 Hours" airs in which Arias reveals more details about Alexander's killing. She claims he died during a home invasion, and that the two were using his camera before the intruders attacked. August 16, 2010 - Arias submits a request to the court to have letters allegedly from Alexander admitted into evidence. The letters were meant to help prove Arias' new theory of self-defense. In a motion to preclude the letters, prosecutors wrote, "[The] defendant argues that the letters are relevant to her claim of self-defense and that she was a victim of previous 'sexual and physical abuse' by Mr. Alexander." It was at this point in time that Arias reportedly began to claim Alexander became angry when she dropped his camera and that she was forced to kill him in self-defense. December 10, 2012 - Jury selection begins. There are 375 potential jurors; a panel of 12 jurors and six alternates is eventually chosen and sworn in for the trial. January 2, 2013 - Opening arguments begin. January 17, 2013 - The prosecution rests. February 4, 2013 - Jodi Arias makes the surprising move of taking the witness stand in her own defense. She admits to the jury that she killed her ex-boyfriend - claiming it was self-defense - and says that she had plans to kill herself after. She concluded testimony on March 13, 2013. April 16, 2013 - The defense rests after 38 days of testimony. May 2, 2013 - Closing arguments begin. May 8, 2013 - Jodi Arias was found guilty of first-degree murder. May 9, 2013 - The sentencing phase of the trial will begin with the same panel deciding whether the killing was committed in an especially cruel, heinous and depraved manner. May 15, 2013 -Jurors determined the killing was committed in an especially cruel and heinous manner and that Jodi Arias is eligible for the death penalty. May 21, 2013 - Jodi Arias addressed the jury during the penalty phase of her murder trial and asked for a sentence of life in prison as opposed to the death penalty.